Fans of “Where the Wild Things Are,” Maurice Sendak’s most famous book, might know every page by heart. But few know the winding path it took from idea to published book — a gestation process that involved experimentation, playfulness and persistence. As professors of children’s literature and illustration, we are thrilled to witness the arrival of The Maurice Sendak Collection at the University of Connecticut’s Archives and Special Collections at the Thomas J. Dodd Center. The collection — which contains Sendak’s original sketches, book dummies, artwork and final drafts of his work, amounting to nearly 10,000 items — allows us to begin to trace the trajectory of Sendak’s creative process. It contains evidence of Sendak’s prodigious imagination and lifelong intellectual curiosity and offers insight into how Sendak developed his ideas over time. 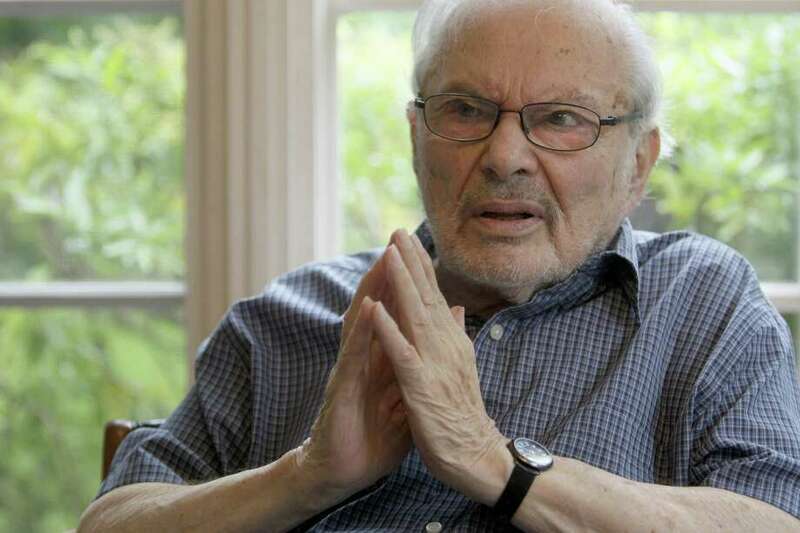 Sendak, who died in 2012, worked out of his studio in Ridgefield for many years. The making of “Where the Wild Things Are” was a journey, and the vivid materials in Sendak’s archive illuminate the level of investment that was required to complete it. One of the items in the collection is a small, horizontal book dummy dated Nov. 17, 1955, titled “Where the Wild Horses Are.” As one of the earliest forms of what would become “Where the Wild Things Are,” the book dummy contains many of the elements that would appear in the final version, including a boy who takes a journey, gets chased by monsters and sails a boat to an island. But what’s with the horses? This earliest version includes images of the child pulling the animals’ tails. In response, they kick him into the air - and out of his clothes. In interviews, Sendak claimed that, when revising the story, he gave up on horses because he couldn’t draw them. But Sendak spent his life immersing himself in a variety of art styles, from romantic painters William Blake and Domenico Tiepolo to American cartoonist Winsor McCay. Sendak possessed immense skill. So if he wanted to illustrate horses, he probably would have. In fact, in 1955 he handily illustrated “Charlotte and The White Horse,” a children’s book authored by Ruth Krauss, with whom he had a longstanding collaborative relationship. But Sendak must have decided horses weren’t right for this story, and he took time to let his ideas percolate. The wild things do appear in his other surviving book dummy, which is entirely recognizable as an early stage of the finished book we now know. Appearing eight years after the first dummy, this one, square and slightly larger than the first, shows the evolution of the book’s characters and visual rhythm. The changing borders - think of the page in which the trees take over Max’s bedroom — compel the reader to turn the pages. “I had never seen fantasy depicted in American children’s books in illustrations that were so powerfully in motion,” critic Nat Hentoff wrote in the New Yorker in 1966, a few years after the book’s publication. But what happened during the preceding eight years? He also published his own picture books during this period, from “Kenny’s Window” in 1956 to “The Sign on Rosie’s Door” in 1960. Yet most picture book authors and illustrators work diligently and juggle multiple projects. How was Sendak different? Unlike illustrators who use a singular style that appears throughout their work, Sendak developed a unique visual approach for each project. He was always seeking out inspiration from other artists whom he admired. “Wild Things,” for example, owes a great deal to the influence of French post-impressionist painter Henri Rousseau. You can see the influence of Swiss painter Henry Fuseli on “Outside Over There” and the influences of British caricaturist Thomas Rowlandson and Czech painter Josef Lada on the recently published “Presto and Zesto in Limboland,” which Sendak created with friend and collaborator Arthur Yorinks. He also read widely — he especially loved Herman Melville, Emily Dickinson and John Keats — and as he worked he played music in the background, choosing songs and albums that reflected his creative moods. “Sketching to music is a marvelous stimulant to my imagination,” he said during his Caldecott award speech in 1964. During the period in which “Wild Horses” became “Wild Things,” Sendak enlarged the interpretive possibilities of his subject. Just as Sendak fertilized his imagination with a range of artists and sensory experiences, from Mozart to Melville, the wild things themselves are hybrid creatures that possess qualities that are both human-like and animal-like. They roar but speak English, walk upright but have horns sprouting from their heads. By drawing and redrawing the creatures, Sendak could play with their expressions and postures, toying with the ways they might move and engage the reader. The Sendak Collection contains multiple versions of what would become the book’s jacket. Many of them focused on a particular wild thing wearing a striped sweater. In one version, he looks to the side as he waves to the reader. In another, he creeps out from the underbrush, hands and foot raised in motion. In a third, he seems to dance, arms locked with another creature, a smile on his face. Even though these drafts don’t appear in the final version, they offer a window into Sendak’s imagination. Yes, attempting multiple drafts is a form of diligence. But it’s also creative play — a fusion of discipline with dynamism. Perhaps that is why the wild things seem so fully to capture the humanity of the young - their longings and rage, their imagination and joy. The materials at the University of Connecticut show how the work of writing and illustrating a book is a kind of journey, not unlike Max’s, into the deepest recesses of the imagination. Katharine Capshaw, an English professor at the University of Connecticut, is president of the Children's Literature Association. Cora Lynn Deibler, also a UConn professor, is a member of the Society of Children's Book Writers and Illustrators, the Society of Illustrators, and the Low Illustration Committee at the New Britain Museum of American Art. The Conversation is an independent and nonprofit source of news, analysis and commentary from academic experts.